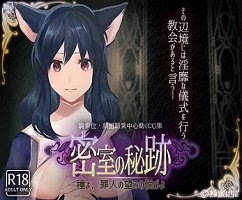 This is the first title by Pajamas EX, in collaboration with SkyFish. Takuma transferred into the famous private school Saimei Gakuen, which is attended by the richest girls. What sets him apart from others is that he will always come to the aid of a troubled person, and he loves girls so much that he wants to make his own harem. Naturally his declaration was first met with disdain, but all the girls slowly warmed up to his kind nature and actions. Soon, he had a harem of 7 girls living with him. One of his lovers, Leone, was the princess of a small European country which allows polygamy for royalty. She invited him to come to her homeland and he agreed without too much thought. However, the other heroines were really worried and upped their attacks on him at school and in the dorm, from morning to night. What will he choose in the end: pure love or a harem?